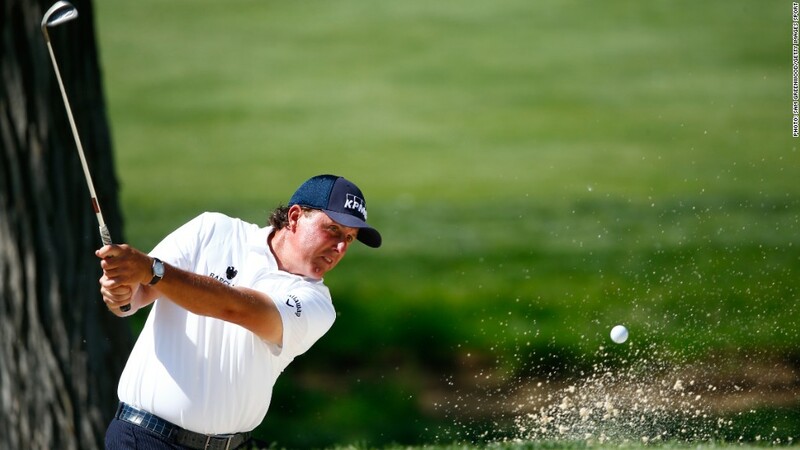 Phil Mickelson takes a shot at the Memorial Tournament on Sunday. A wide-ranging insider-trading probe is examining stock trades by golfer Phil Mickelson, investor Carl Icahn and a well-known sports bettor, Billy Walters, law enforcement sources told CNN. There is no allegation of wrongdoing and the probe may find none. The probe involves stock trades made in 2011 after Icahn made an investment in Clorox (CLX), according to the sources, who are not authorized to speak publicly about the case. Icahn bought shares in Clorox and later announced a takeover bid for the company, causing shares to rise significantly. Prior to the takeover bid, there was suspicious trading in the Clorox shares, and both Mickelson and Walters had bought shares in Clorox at about that time, according to The New York Times, citing people briefed on the investigation. The FBI and the Securities and Exchange Commission are looking into whether Icahn told Walters about the takeover bid ahead of time, according to the Times, and also the possibility that Walters then told Mickelson. Both agencies declined to comment about the investigation. "I have done absolutely nothing wrong," Mickelson said in a statement provided to CNN by his agent. "I have cooperated with the government in this investigation and will continue to do so. I wish I could fully discuss this matter, but under the current circumstances it's just not possible." CNN reached out to representatives for Icahn, who told the Wall Street Journal that he did not know about any investigation. "We are always very careful to observe all legal requirements in all of our activities," he told the paper. The suggestion that he was involved in improper trading, he said, was "inflammatory and speculative." Attempts by CNN to reach Walters through one of his companies were not immediately successful. But he told the Wall Street Journal, "I don't have any comment about anything." --CNN's ​Lex Haris and Mariano Castillo contributed to this report.